Prof. Dr.-Ing. habil Christoph Bruecker holds a doctoral degree (1993) and a Venia Legendi (2005) from the RWTH Aachen University (Rheinisch- Westfälische Technische Hochschule Aachen), Germany, where he mostly was engaged at the Aerodynamic Institute AIA. From 2005 on he was for 10 years full professor (W3) at the Technical University Bergakademie Freiberg as the Chair of Fluid Mechanics and Fluid Machinery, where he also served 3 years as the Director of the Institute of Mechanics and Fluid Dynamics. In August 2015, he got awarded, in a competition of over 150 international researchers, the BAE SYSTEMS Sir Richard Olver Chair on Aeronautical Engineering at City, University of London. Established in 2014, this new prestigious chair honours Sir Richard’s contribution as Chairman of BAE SYSTEMS from 2004 to 2014. In 2017, a further prestigious award was granted to Professor Christoph Bruecker as the Royal Academy of Engineering Research Chair in Nature-Inspired Sensing and Flow Control for Sustainable Transport at City, University of London. Supported by the Royal Academy of Engineering and BAE SYSTEMS, Professor Bruecker's research aims to develop an aerodynamic ‘skin’ that can be evaluated for use on future aircraft. The award reflects the interdisciplinary work of his team including Biofluid Mechanics, Bio-Engineering, Micro-Fluidics, Aeroacoustics, natural flows, environmental flows and more. The work of his team is also broadcasted in spectacular and breath-taking videography, e.g. a BBC2 programme featuring a peregrine falcon (the world’s fastest animal) in diving flight off the North Lake District cliffs and in the wind tunnel facilities in City’s Handley Page Aeronautical Engineering Laboratory. The research earned Professor Bruecker a President’s Award for Outstanding Research Engagement: Media and Outreach at City in June 2018. Brücker, C. and Rist, U. (2014). Complex flow detection by fast processing of sensory hair arrays. Flow Sensing in Air and Water: Behavioral, Neural and Engineering Principles of Operation (pp. 489–498). ISBN 978-3-642-41445-9. Brücker, C. and Bleckmann, H. (2010). Vortex dynamics in the wake of a mechanical fish. Animal Locomotion (pp. 161–172). ISBN 978-3-642-11632-2. Bruecker, C., Hess, D. and Watz, B. (2018). Volumetric Calibration Refinement using masked back projection and image correlation superposition. 19th International Symposium on Applications of Laser and Imaging Techniques to Fluid Mechanics 16-19 July, Lisbon. Kamps, L., Brücker, C., Geyer, T.F. and Sarradj, E. (2017). Airfoil self noise reduction at low reynolds numbers using a passive flexible trailing edge. Geyer, T.F., Kamps, L., Sarradj, E. and Brücker, C. (2017). Passive control of the vortex shedding noise of a cylinder at low Reynolds numbers using flexible flaps. Bruecker, C., Pointz, B. and Sun, Z. (2016). Transition of a vortex ring measured by 3D scanning Tomo-PIV. 18th International Symposium on the Application of Laser and Imaging Techniques to Fluid Mechanics 4-7 July, Lisbon, Portugal. Bruecker, C., Wagner, R. and Koehler, M. (2016). Measurements of wall-shear stress fields on the piston crown in an IC engine flow using fluorescent labelled micro-pillar imaging. 18th International Symposium on Applications of Laser and Imaging to Fluid Mechanics 4-7 July, Lisbon. Sastuba, M., Skupsch, C. and Bruecker, C. (2014). Real time visualization and analysis of sensory hair arrays using fast image processing and proper orthogonal decomposition. 17th International Symposium on Applications of Laser Techniques to Fluid Mechanics 7-10 July, Lisbon, Portugal. Kamps, L., Hegner, F., Hess, D. and Bruecker, C. (2014). Volumetric velocimetry study in a transitional wall jet flow with passive flow control via flaps. International symposium on applications of laser techniques to fluid mechanics Lisbon. Hess, D., Bruecker, C. and Nonn, T. (2013). Combined 3D Scanning PIV and Scanning LIF for flow and phase transfer measurements around a melting particle. International Symposium Particle Image Velocimetry 1-3 July, Delft, Netherland. Mikulich, V. and Brücker, C. (2013). Flow and motion behavior of particle suspensions in shear flow over a rough surface. Ponitz, B., Sastuba, M., Bruecker, C. and Kitzhofer, J. (2012). Volumetric velocimetry via scanning back-projection and least-squares-matching algorithms of a vortex ring. 16th International Symposium on Applications of Laser Techniques to Fluid Mechanics 4-7 June, Lisbon. Brücker, C. (2012). Do Flexible Surface-Hairs Manipulate Near-Wall Turbulence? Balmert, A., Hess, D., Brücker, C., Bleckmann, H. and Westhoff, G. (2011). Spitting cobras - Fluid jets in nature as models for technical applications. Thomson, S.L. and Brücker, C. (2011). Special session (introduction): computational and experimental vocal fold modeling. Brücker, C., Triep, M., Kirmse, C., Mattheus, W. and Schwarze, R. (2011). Spectral analysis of the flow in a glottal model. Bauer, K., Rudert, A. and Bruecker, C. (2011). Flow patterns and mass transport in a three-dimensional model of the human lung. SIMBIO 2011. Arens, J., De Brouwer, P., Mager, I., Bruecker, C., Schaefers, M., Jacobs, P. … Steinseifer, U. (2010). HEMOCOMPATIBILITY TESTS ON MATERIALS FOR A MULTI-TACTILE-SENSOR CONCEPT. Brücker, C. (2010). Time-resolved wall-shear stress imaging on surfaces coated with arrays of flexible micro-pillars. Brücker, C. (2010). Signature of varicose wave packets in the viscous sublayer. Kirmse, C., Triep, M., Brücker, C., Döllinger, M. and Stingl, M. (2009). Visualization of the flow through modulated irregular glottal gaps. Keissner, A. and Bruecker, C. (2008). Multi-Tactile Sensor For Measurement Of The Inner Geometry Of Human Blood Vessels. 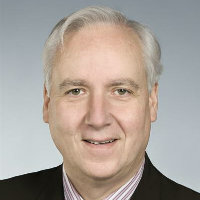 Brücker, C. (2008). Signature of varicose wave packets in the viscous sublayer. Keißner, A., Brücker, C., Jacobs, P. and Kashefi, A. (2008). Multi- tactile sensor concept for the autonomous navigation in human blood vessels. Bauer, K., Brücker, C.H., Simbruner, G. and Rüdiger, M. (2008). The role of ventilation frequency in airway reopening. Kob, M., Krämer, S., Prévot, A., Triep, M. and Brücker, C. (2005). Acoustic measurement of periodic noise generation in a hydrodynamical vocal fold model. Bruecker, C. and Smith, M. (2005). Wake interaction of arrays of flexible cylinders in boundary layer flows. Bluff Body Wakes and Vortex Interaction Carret le Rouet, France. Recktenwald, I., Bruecker, C. and Schroeder, W. (2004). PIV investigation of a turbulent channel flow rotating about the streamwise acis. 10th European Turbulence Conference 1-4 June. Brucker, C. and Schroder, W. (2004). PIV-Study on bubble interaction and wakes in multiphase flows. Brücker, C. (2002). Statistical investigation of particle-interaction in multiphase flows. Brücker, C., Steinseifer, U., Schröder, W. and Reul, H. (2001). Unsteady flow through a new mechanical heart valve prosthesis analyzed by DPIV. Brucker, C. (2000). 3-D measurements of bubble motion and wake structure in two-phase flows using 3-D Scanning Particle-Image-Velocimetry (3-D SPIV) and stereo-imaging. Brucker, C. (1998). Breakdown of spinning tube flows. Brucker, C. and ENGINEERS, I.M. (1998). Time-recording scanning-particle-image-velocimetry (SPIV) technique for the study of bubble-wake interaction in bubbly two-phase flows. Bruecker, C. (1997). High-speed video: an upcoming chance for time-resolved 3D velocimetry based on light-sheed tomography. GALA. Brucker, C. and INST MECH ENGINEERS, L. (1996). A new method for determination of the out-of-plane component in three-dimensional PIV using a colour-coded light-sheet and spatial correlation: Simulation and feasibility study for three-dimensional scanning PIV. Brucker, C. (1995). 3D-PIV using stereoscopy and a scanning light-sheet: Application to the 3D unsteady sphere wake flow. Brücker, C. (1995). Development and structural changes of vortex breakdown. Brucker, C. (1995). Phenomenological study of vortex breakdown by quantitative flow visualization using PIV. Park, K.I., Brucker, C., Limberg, W. and Krause, E. (1995). An experimental study of an oscillatory flow in a bifurcation using PIV. Bruecker, C. (1995). Whole-volume PIV by the concept of a scanning light sheet: technique and application to 3D unsteady bluff body wakes. Bruecker, C. (1995). 3-D DPIV using a scanning light-sheet and stereoscopy: study of flow development around a spherical cap. Li, Q., Hegner, F. and Bruecker, C. (2019). Comparative study of wall shear stress at the ascending aorta for different mechanical heart valve prostheses. Journal of Biomechanical Engineering. doi:10.1115/1.4043357 . Talboys, E., Geyer, T.F. and Brücker, C. (2019). An aeroacoustic investigation into the effect of self-oscillating trailing edge flaplets. Journal of Fluids and Structures. doi:10.1016/j.jfluidstructs.2019.02.014 . Geyer, T.F., Kamps, L., Sarradj, E. and Brücker, C. (2019). Vortex shedding and modal behavior of a circular cylinder equipped with flexible flaps. Acta Acustica united with Acustica, 105(1), pp. 210–219. doi:10.3813/AAA.919301 . Gowree, E.R., Jagadeesh, C., Talboys, E., Lagemann, C. and Brücker, C. (2018). Vortices enable the complex aerobatics of peregrine falcons. Communications Biology, 1(1). doi:10.1038/s42003-018-0029-3 . Talboys, E. and Brücker, C. (2018). Upstream shear-layer stabilisation via self-oscillating trailing edge flaplets. Experiments in Fluids, 59(10). doi:10.1007/s00348-018-2598-9 . Mattheus, W. and Brücker, C. (2018). Characteristics of the pulsating jet flow through a dynamic glottal model with a lens-like constriction. Biomedical Engineering Letters, 8(3), pp. 309–320. doi:10.1007/s13534-018-0075-2 . Schmitz, A., Ondreka, N., Poleschinski, J., Fischer, D., Schmitz, H., Klein, A. … Bruecker, C. (2018). The peregrine falcon’s rapid dive: on the adaptedness of the arm skeleton and shoulder girdle. Journal of Comparative Physiology A: Neuroethology, Sensory, Neural, and Behavioral Physiology, 204(8), pp. 747–759. doi:10.1007/s00359-018-1276-y . Elshalakani, M. and Brücker, C.H. (2018). Spontaneous synchronization of beating cilia: An experimental proof using vision-based control. Fluids, 3(2). doi:10.3390/fluids3020030 . Li, Q. and Bruecker, C.H. (2018). Vortex interaction with a rough wall formed by a hexagonal lattice of posts. Physics of Fluids, 30(5). doi:10.1063/1.5026463 . Koukouvinis, P., Bruecker, C. and Gavaises, M. (2017). Unveiling the physical mechanism behind pistol shrimp cavitation. Scientific Reports, 7(1). doi:10.1038/s41598-017-14312-0 . Favier, J., Li, C., Kamps, L., Revell, A., O’Connor, J. and Brücker, C. (2017). The PELskin project—part I: fluid–structure interaction for a row of flexible flaps: a reference study in oscillating channel flow. Meccanica, 52(8), pp. 1767–1780. doi:10.1007/s11012-016-0521-0 . Rosti, M.E., Kamps, L., Bruecker, C., Omidyeganeh, M. and Pinelli, A. (2017). The PELskin project-part V: towards the control of the flow around aerofoils at high angle of attack using a self-activated deployable flap. Meccanica, 52(8), pp. 1811–1824. doi:10.1007/s11012-016-0524-x . Revell, A., O’Connor, J., Sarkar, A., Li, C., Favier, J., Kamps, L. … Brücker, C. (2017). The PELskin project: part II—investigating the physical coupling between flexible filaments in an oscillating flow. Meccanica, 52(8), pp. 1781–1795. doi:10.1007/s11012-016-0525-9 . Pacholak, S. and Brücker, C. (2017). Size does matter: The use of fish motion for improving human swimming simulations. Applied Mathematical Modelling, 46, pp. 339–353. doi:10.1016/j.apm.2017.01.080 . Bruecker, C.H. and Mikulich, V. (2017). Sensing of minute airflow motions near walls using pappus-type nature-inspired sensors. PLoS ONE, 12(6). doi:10.1371/journal.pone.0179253 . Pinelli, A., Omidyeganeh, M., Brücker, C., Revell, A., Sarkar, A. and Alinovi, E. (2017). The PELskin project: part IV—control of bluff body wakes using hairy filaments. Meccanica, 52(7), pp. 1503–1514. doi:10.1007/s11012-016-0513-0 . Sun, Z. and Brücker, C. (2017). Investigation of the vortex ring transition using scanning Tomo-PIV. Experiments in Fluids, 58(4). doi:10.1007/s00348-017-2322-1 . Ostmann, S., Chaves, H. and Brücker, C. (2017). Path instabilities of light particles rising in a liquid with background rotation. Journal of Fluids and Structures, 70, pp. 403–416. doi:10.1016/j.jfluidstructs.2017.02.007 . Buhl, S., Gleiss, F., Köhler, M., Hartmann, F., Messig, D., Brücker, C. … Hasse, C. (2017). A Combined Numerical and Experimental Study of the 3D Tumble Structure and Piston Boundary Layer Development During the Intake Stroke of a Gasoline Engine. Flow, Turbulence and Combustion, 98(2), pp. 579–600. doi:10.1007/s10494-016-9754-1 . Kamps, L., Geyer, T.F., Sarradj, E. and Brücker, C. (2017). Vortex shedding noise of a cylinder with hairy flaps. Journal of Sound and Vibration, 388, pp. 69–84. doi:10.1016/j.jsv.2016.10.039 . Brücker, C., Schnakenberg, U., Rockenbach, A. and Mikulich, V. (2017). Effect of Cilia Orientation in Metachronal Transport of Microparticles. World Journal of Mechanics, 07(01), pp. 1–10. doi:10.4236/wjm.2017.71001 . Axtmann, G., Hegner, F., Brücker, C. and Rist, U. (2016). Investigation and prediction of the bending of single and tandem pillars in a laminar cross flow. Journal of Fluids and Structures, 66, pp. 110–126. doi:10.1016/j.jfluidstructs.2016.07.017 . Bruecker, C. (2016). Measurement of near-wall 3D flow velocity from wave-guiding micro-pillars. Optics Express, 24(19), pp. 21407–21414. doi:10.1364/OE.24.021407 . Ponitz, B., Sastuba, M. and Brücker, C. (2016). 4D visualization study of a vortex ring life cycle using modal analyses. Journal of Visualization, 19(2), pp. 237–259. doi:10.1007/s12650-015-0314-x . Brücker, C., Kirmse, C. and Triep, M. (2016). Feedback of the glottal jet flow with supraglottal wall oscillations. Acta Acustica united with Acustica, 102(2), pp. 240–243. doi:10.3813/AAA.918940 . Brücker, C., Schlegel, D. and Triep, M. (2016). Feather Vibration as a Stimulus for Sensing Incipient Separation in Falcon Diving Flight. Natural Resources, 07(07), pp. 411–422. doi:10.4236/nr.2016.77036 . Axtmann, G., Rist, U., Hegner, F. and Bruecker, C. (2016). Numerical investigation of the bending of slenderwall-mounted cylinders in low reynolds number flow. Notes on Numerical Fluid Mechanics and Multidisciplinary Design, 132, pp. 191–201. doi:10.1007/978-3-319-27279-5_17 . Rockenbach, A., Mikulich, V., Brücker, C. and Schnakenberg, U. (2015). Fluid transport via pneumatically actuated waves on a ciliated wall. Journal of Micromechanics and Microengineering, 25(12). doi:10.1088/0960-1317/25/12/125009 . Koehler, M., Hess, D. and Brücker, C. (2015). Flying PIV measurements in a 4-valve IC engine water analogue to characterize the near-wall flow evolution. Measurement Science and Technology, 26(12). doi:10.1088/0957-0233/26/12/125302 . Bauer, K. and Brücker, C. (2015). The influence of airway tree geometry and ventilation frequency on airflow distribution. Journal of Biomechanical Engineering, 137(8). doi:10.1115/1.4030621 . Brücker, C. (2015). Evidence of rare backflow and skin-friction critical points in near-wall turbulence using micropillar imaging. Physics of Fluids, 27(3). doi:10.1063/1.4916768 . Schmitz, A., Ponitz, B., Brücker, C., Schmitz, H., Herweg, J. and Bleckmann, H. (2015). Morphological properties of the last primaries, the tail feathers, and the alulae of Accipiter nisus, Columba livia, Falco peregrinus, and Falco tinnunculus. Journal of Morphology, 276(1), pp. 33–46. doi:10.1002/jmor.20317 . Mikulich, V., Nassauer, B., Kuna, M. and Brücker, C. (2015). Experimental and numerical study of interaction between particle loaded fluid and a rough wall with micropillars. Tribology International, 83, pp. 42–50. doi:10.1016/j.triboint.2014.10.009 . Kogan, I., Pacholak, S., Licht, M., Schneider, J.W., Brucker, C. and Brandt, S. (2015). The invisible fish: Hydrodynamic constraints for predator-prey interaction in fossil fish Saurichthys compared to recent actinopterygians. Biology Open, 4(12), pp. 1715–1726. doi:10.1242/bio.014720 . Ponitz, B., Schmitz, A., Fischer, D., Bleckmann, H. and Brücker, C. (2014). Diving-flight aerodynamics of a peregrine falcon (Falco peregrinus). PLoS ONE, 9(2). doi:10.1371/journal.pone.0086506 . Pacholak, S., Hochstein, S., Rudert, A. and Brücker, C. (2014). Unsteady flow phenomena in human undulatory swimming: a numerical approach. Sports Biomechanics, 13(2), pp. 176–194. doi:10.1080/14763141.2014.893609 . Kirmse, C. and Brücker, C. (2014). On the jet formation through a leaky glottis. Journal of Fluids and Structures, 50, pp. 137–152. doi:10.1016/j.jfluidstructs.2014.06.022 . Mikulich, V. and Brücker, C. (2014). Cavitation by spall fracture of solid walls in liquids. Experiments in Fluids, 55(7). doi:10.1007/s00348-014-1785-6 . Brücker, C. and Weidner, C. (2014). Influence of self-adaptive hairy flaps on the stall delay of an airfoil in ramp-up motion. Journal of Fluids and Structures, 47, pp. 31–40. doi:10.1016/j.jfluidstructs.2014.02.014 . Rockenbach, A., Brucker, C. and Schnakenberg, U. (2014). Pneumatically actuated biomimetic particle transporter. Proceedings of the IEEE International Conference on Micro Electro Mechanical Systems (MEMS) pp. 927–930. doi:10.1109/MEMSYS.2014.6765794 . Bauer, K. and Bruecker, C. (2014). Behavior of oscillatory tube flow at liquid-gas interfaces. Physics of Fluids, 26(7). doi:10.1063/1.4890717 . Ponitz, B., Triep, M. and Brücker, C. (2014). Aerodynamics of the Cupped Wings during Peregrine Falcon’s Diving Flight. Open Journal of Fluid Dynamics, 04(04), pp. 363–372. doi:10.4236/ojfd.2014.44027 . Hess, D., Bruecker, C., Hegner, F., Balmert, A. and Bleckmann, H. (2013). Vortex formation with a snapping shrimp claw. PLoS ONE, 8(11). doi:10.1371/journal.pone.0077120 . Triep, M., Hess, D., Chaves, H., Brücker, C., Balmert, A., Westhoff, G. … Bleckmann, H. (2013). 3D Flow in the Venom Channel of a Spitting Cobra: Do the Ridges in the Fangs Act as Fluid Guide Vanes? PLoS ONE, 8(5). doi:10.1371/journal.pone.0061548 . Skupsch, C. and Brücker, C. (2013). Multiple-plane particle image velocimetry using a light-field camera. Optics Express, 21(2), pp. 1726–1740. doi:10.1364/OE.21.001726 . Klostermann, J., Schwarze, R. and Brücker, C. (2013). Meshing of porous foam structures on the micro-scale. Engineering with Computers, 29(1), pp. 95–110. doi:10.1007/s00366-011-0247-5 . Brücker, C., Hess, D. and Kitzhofer, J. (2013). Single-view volumetric PIV via high-resolution scanning, isotropic voxel restructuring and 3D least-squares matching (3D-LSM). Measurement Science and Technology, 24(2). doi:10.1088/0957-0233/24/2/024001 . Keißner, A. and Brücker, C. (2012). Directional fluid transport along artificial ciliary surfaces with base-layer actuation of counter-rotating orbital beating patterns. Soft Matter, 8(19), pp. 5342–5349. doi:10.1039/c2sm25287b . Brücker, C. and Hein, S. (2012). Collaborative project HydroSens: Innovative measurement process for dynamic operating behavior of hydrostatic equipment. Olhydraulik und Pneumatik, 56(5), pp. 30–33. Skupsch, C., Klotz, T., Chaves, H. and Brücker, C. (2012). Channelling optics for high quality imaging of sensory hair. Review of Scientific Instruments, 83(4), pp. 45001–45001. doi:10.1063/1.3697997 . Bleckmann, H., Przybilla, A., Klein, A., Schmitz, A., Kunze, S. and Brücker, C. (2012). Station holding of trout: Behavior, physiology and hydrodynamics. Notes on Numerical Fluid Mechanics and Multidisciplinary Design, 119, pp. 161–177. doi:10.1007/978-3-642-28302-4_10 . Hochstein, S., Pacholak, S., Brücker, C. and Blickhan, R. (2012). Experimental and numerical investigation of the unsteady flow around a human underwater undulating swimmer. Notes on Numerical Fluid Mechanics and Multidisciplinary Design, 119, pp. 293–308. doi:10.1007/978-3-642-28302-4_18 . Bauer, K., Rudert, A. and Brücker, C. (2012). Three-dimensional flow patterns in the upper human airways. Journal of Biomechanical Engineering, 134(7). doi:10.1115/1.4006983 . Kunze, S. and Brücker, C. (2012). Control of vortex shedding on a circular cylinder using self-adaptive hairy-flaps. Comptes Rendus - Mecanique, 340(1-2), pp. 41–56. doi:10.1016/j.crme.2011.11.009 . Mattheus, W. and Brücker, C. (2011). Asymmetric glottal jet deflection: Differences of two- and three-dimensional models. Journal of the Acoustical Society of America, 130(6). doi:10.1121/1.3655893 . Kitzhofer, J., Nonn, T. and Brücker, C. (2011). Generation and visualization of volumetric PIV data fields. Experiments in Fluids, 51(6), pp. 1471–1492. doi:10.1007/s00348-011-1176-1 . Kniesburges, S., Thomson, S.L., Barney, A., Triep, M., Šidlof, P., Horáček, J. … Becker, S. (2011). In Vitro experimental investigation of voice production. Current Bioinformatics, 6(3), pp. 305–322. doi:10.2174/157489311796904637 . Alipour, F., Brücker, C., Cook, D.D., Gömmel, A., Kaltenbacher, M., Mattheus, W. … Zörner, S. (2011). Mathematical models and numerical schemes for the simulation of human phonation. Current Bioinformatics, 6(3), pp. 323–343. doi:10.2174/157489311796904655 . Schwarze, R., Mattheus, W., Klostermann, J. and Brücker, C. (2011). Starting jet flows in a three-dimensional channel with larynx-shaped constriction. Computers and Fluids, 48(1), pp. 68–83. doi:10.1016/j.compfluid.2011.03.016 . Klostermann, J., Schwarze, R., Weider, M. and Brücker, C. (2011). Computational Fluid Dynamic (CFD) simulations of liquid steel infiltration in ceramic foam structures. Part II: Application to laboratory-scale experiments. Steel Research International, 82(9), pp. 1113–1121. doi:10.1002/srin.201100093 . Skupsch, C., Chaves, H. and Brücker, C. (2011). Cranz-Schardin camera with a large working distance for the observation of small scale high-speed flows. Review of Scientific Instruments, 82(8), pp. 83705–83705. doi:10.1063/1.3624692 . Brücker, C. (2011). Interaction of flexible surface hairs with near-wall turbulence. Journal of Physics Condensed Matter, 23(18). doi:10.1088/0953-8984/23/18/184120 . Bauer, K., Chaves, H. and Brücker, C. (2011). Transport at air-liquid bridges under high-frequency ventilation. Notes on Numerical Fluid Mechanics and Multidisciplinary Design, 116, pp. 167–181. doi:10.1007/978-3-642-20326-8_10 . Triep, M., Brücker, C., Stingl, M. and Döllinger, M. (2011). Optimized transformation of the glottal motion into a mechanical model. Medical Engineering and Physics, 33(2), pp. 210–217. doi:10.1016/j.medengphy.2010.09.019 . Kunze, S. and Brücker, C. (2011). Flow control over an undulating membrane. Experiments in Fluids, 50(3), pp. 747–759. doi:10.1007/s00348-010-0981-2 . Schwarze, R., Klostermann, J. and Brücker, C. (2011). Computational Fluid Dynamic (CFD) simulations of liquid steel infiltration in ceramic foam structures. Part I: Fundamentals and validation. Steel Research International, 82(1), pp. 56–62. doi:10.1002/srin.201000231 . Kitzhofer, J. and Brücker, C. (2010). Tomographic particle tracking velocimetry using telecentric imaging. Experiments in Fluids, 49(6), pp. 1307–1324. doi:10.1007/s00348-010-0879-z . Przybilla, A., Kunze, S., Rudert, A., Bleckmann, H. and Brücker, C. (2010). Entraining in trout: A behavioural and hydrodynamic analysis. Journal of Experimental Biology, 213(17), pp. 2976–2986. doi:10.1242/jeb.041632 . Brücker, C. and Keissner, A. (2010). Streaming and mixing induced by a bundle of ciliary vibrating micro-pillars. Experiments in Fluids, 49(1), pp. 57–65. doi:10.1007/s00348-009-0774-7 . Triep, M. and Brücker, C. (2010). Three-dimensional nature of the glottal jet. Journal of the Acoustical Society of America, 127(3), pp. 1537–1547. doi:10.1121/1.3299202 . Kirmse, C., Triep, M., Brücker, C., Döllinger, M. and Stingl, M. (2010). Experimental flow study of modeled regular and irregular glottal closure types. Logopedics Phoniatrics Vocology, 35(1), pp. 45–50. doi:10.3109/14015431003667652 . Bauer, K., Chaves, H. and Brücker, C. (2010). Visualizing flow partitioning in a model of the upper human lung airways. Journal of Biomechanical Engineering, 132(3). doi:10.1115/1.4000871 . Schwarze, R., Chaves, H. and Brücker, C. (2009). Investigation of the gas-liquid flow in a stopper-rod controlled SEN. Steel Research International, 80(11), pp. 834–840. doi:10.2374/SRI09SP070 . Bauer, K. and Brücker, C. (2009). Visualizing mass transport by particle advection in an in-vitro model of the human lung. Journal of Visualization, 12(2), p. 89. doi:10.1007/BF03181948 . Bauer, K. and Brücker, C. (2009). The role of ventilation frequency in airway reopening. Journal of Biomechanics, 42(8), pp. 1108–1113. doi:10.1016/j.jbiomech.2009.02.018 . Kitzhofer, J., Kirmse, C. and Brücker, C. (2009). High density, long-term 3D PTV using 3D scanning illumination and telecentric imaging. Notes on Numerical Fluid Mechanics and Multidisciplinary Design, 106, pp. 125–134. doi:10.1007/978-3-642-01106-1_13 . Bauer, D., Chaves, H. and Brücker, C. (2009). A multiple-segment long-distance microscope for flow visualization and measurements. Measurement Science and Technology, 20(7). doi:10.1088/0957-0233/20/7/073001 . Schwarze, R., Klostermann, J. and Brücker, C. (2008). Experimental and numerical investigations of a turbulent round jet into a cavity. International Journal of Heat and Fluid Flow, 29(6), pp. 1688–1698. doi:10.1016/j.ijheatfluidflow.2008.08.001 . Triep, M., Brücker, C., Kerkhoffs, W., Schumacher, O. and Marseille, O. (2008). Investigation of the washout effect in a magnetically driven axial blood pump. Artificial Organs, 32(10), pp. 778–784. doi:10.1111/j.1525-1594.2008.00630.x . Kunze, S., Chaves, H. and Brücker, C. (2008). Mirror particle-tracking-velocimetry in a strip-coded light-sheet: A new method to determine the wall-shear-stress field. Experiments in Fluids, 45(4), pp. 573–581. doi:10.1007/s00348-008-0538-9 . Brücker, C. (2008). Signature of varicose wave packets in the viscous sublayer. Physics of Fluids, 20(6), pp. 61701–61701. doi:10.1063/1.2945292 . Chagnaud, B.P., Brücker, C., Hofmann, M.H. and Bleckmann, H. (2008). Measuring flow velocity and flow direction by spatial and temporal analysis of flow fluctuations. Journal of Neuroscience, 28(17), pp. 4479–4487. doi:10.1523/JNEUROSCI.4959-07.2008 . Brücker, C. and Bleckmann, H. (2007). Vortex dynamics in the wake of a mechanical fish. Experiments in Fluids, 43(5), pp. 799–810. doi:10.1007/s00348-007-0359-2 . Adler, K. and Brücker, C. (2007). Dynamic flow in a realistic model of the upper human lung airways. Experiments in Fluids, 43(2-3), pp. 411–423. doi:10.1007/s00348-007-0296-0 . Brücker, C., Bauer, D. and Chaves, H. (2007). Dynamic response of micro-pillar sensors measuring fluctuating wall-shear-stress. Experiments in Fluids, 42(5), pp. 737–749. doi:10.1007/s00348-007-0282-6 . Große, S., Schröder, W. and Brücker, C. (2006). Nano-newton drag sensor based on flexible micro-pillars. Measurement Science and Technology, 17(10), pp. 2689–2697. doi:10.1088/0957-0233/17/10/022 . Brücker, C. and Schröder, W. (2006). Flow visualization internal of flow in the human lung network. Journal of Visualization, 9(3), pp. 239–239. doi:10.1007/bf03181664 . Burgmann, S., Brücker, C. and Schröder, W. (2006). Scanning PIV measurements of a laminar separation bubble. Experiments in Fluids, 41(2), pp. 319–326. doi:10.1007/s00348-006-0153-6 . Hörschler, I., Brücker, C., Schröder, W. and Meinke, M. (2006). Investigation of the impact of the geometry on the nose flow. European Journal of Mechanics, B/Fluids, 25(4), pp. 471–490. doi:10.1016/j.euromechflu.2005.11.006 . Triep, M., Brücker, C., Schröder, W. and Siess, T. (2006). Computational fluid dynamics and digital particle image velocimetry study of the flow through an optimized micro-axial blood pump. Artificial Organs, 30(5), pp. 384–391. doi:10.1111/j.1525-1594.2006.00230.x . Schmitz, G.J., Brücker, C. and Jacobs, P. (2005). Manufacture of high-aspect-ratio micro-hair sensor arrays. Journal of Micromechanics and Microengineering, 15(10), pp. 1904–1910. doi:10.1088/0960-1317/15/10/016 . Brücker, C., Spatz, J. and Schröder, W. (2005). Feasability study of wall shear stress imaging using microstructured surfaces with flexible micropillars. Experiments in Fluids, 39(2), pp. 464–474. doi:10.1007/s00348-005-1003-7 . Triep, M., Brücker, C. and Schröder, W. (2005). High-speed PIV measurements of the flow downstream of a dynamic mechanical model of the human vocal folds. Experiments in Fluids, 39(2), pp. 232–245. doi:10.1007/s00348-005-1015-3 . Schmitz-Rode, T., Graf, J., Pfeffer, J.G., Buss, F., Brücker, C. and Günther, R.W. (2005). An expandable percutaneous catheter pump for left ventricular support: Proof of concept. Journal of the American College of Cardiology, 45(11), pp. 1856–1861. doi:10.1016/j.jacc.2005.02.071 . Krause, M., Manka, M., Martin, J., Beyersdorf, F., Haimerl, G., Glasmacher, B. … Brücker, C. (2003). Device failure of heart assist devices and their possible pathogenesis. Kardiotechnik, 12(3), pp. 101–106. Brücker, C. (2002). Some observations of vortex breakdown in a confined flow with solid body rotation. Flow, Turbulence and Combustion, 69(1 SPEC. ), pp. 63–78. doi:10.1023/A:1022415215509 . Schmitz-Rode, T., Pfeffer, J.G., Graf, S., Buss, F., Brücker, C., Siess, T. … Günther, R.W. (2002). Axial flow catheter pump for circulatory support. Biomedizinische Technik. Biomedical engineering, 47 Suppl 1 Pt 1, pp. 142–143. Brücker, C., Dohmen, R., Pfeffer, J.G., Buss, F., Schröder, W., Siess, T. … Schmitz-Rode, T. (2002). Technical flow design and optimization of a percutaneous implantable miniature blood pump. Biomedizinische Technik. Biomedical engineering, 47 Suppl 1 Pt 1, pp. 114–117. Brücker, C., Steinseifer, U., Schröder, W. and Reul, H. (2002). Unsteady flow through a new mechanical heart valve prosthesis analysed by digital particle image velocimetry. Measurement Science and Technology, 13(7), pp. 1043–1049. doi:10.1088/0957-0233/13/7/311 . Brücker, C., Dohmen, R., Pfeffer, J.G., Buss, F., Schröder, W., Siess, T. … Schmitz-Rode, T. (2002). STRÖMUNGSTECHNISCHE AUSLEGUNG UND OPTIMIERUNG EINER PERKUTAN IMPLANTIERBAREN MINIATUR-BLUTPUMPE. Biomedizinische Technik/Biomedical Engineering, 47(s1a), pp. 114–117. doi:10.1515/bmte.2002.47.s1a.114 . Stumpf, M., Klinge, U., Tittel, A., Brücker, C. and Schumpelick, V. (2001). The surgical trauma of abdominal wall incision: A comparison of laparoscopic vs open surgery with three-dimensional stereography. Surgical Endoscopy, 15(10), pp. 1147–1149. doi:10.1007/s004640090067 . Brucker, C. (2001). Spatio-temporal reconstruction of vortex dynamics in axisymmetric wakes. JOURNAL OF FLUIDS AND STRUCTURES, 15(3-4), pp. 543–554. doi:10.1006/jfls.2000.0356 . Hanke, W., Brücker, C. and Bleckmann, H. (2000). The ageing of the low-frequency water disturbances caused by swimming goldfish and its possible relevance to prey detection. The Journal of experimental biology, 203(Pt 7), pp. 1193–1200. Hanke, W., Brücker, C. and Bleckmann, H. (2000). The ageing of the low-frequency water disturbances caused by swimming goldfish and its possible relevance to prey detection. Journal of Experimental Biology, 203(7), pp. 1193–1200. Brücker, C. (1999). Structure and dynamics of the wake of bubbles and its relevance for bubble interaction. Physics of Fluids, 11(7), pp. 1781–1796. doi:10.1063/1.870043 . Bruecker, C. (1999). Structure and dynamics of the wake of bubbles and their relevance for bubble interaction. Phys. Fluid, 11(7), pp. 1781–1796. Klinge, U., Mueller, M., Bruecker, C. and Schumpelick, V. (1998). Application of three-dimensional stereography to assess abdominal wall mobility. Hernia, 2(1), pp. 11–14. doi:10.1007/BF01207767 . Brücker, C. and Riethmuller, M.L. (1998). Cyclic flow oscillations in a system of repeatedly branching channels. Physics of Fluids, 10(4), pp. 877–885. doi:10.1063/1.869611 . BRUCKER, C. (1998). Bubble Interaction in Swarms : A Study of the Wake Structures with 3-D Scanning Particle Image Velocimetry (3-D SPIV). Proc. 3rd Int. Conf. Multiphase Flow '98-Lyon pp. 1–8. Brücker, C. (1997). Study of the three-dimensional flow in a T-junction using a dual-scanning method for three-dimensional scanning-particle-image velocimetry (3-D SPIV). Experimental Thermal and Fluid Science, 14(1), pp. 35–44. doi:10.1016/S0894-1777(96)00110-0 . Brücker, C. (1997). Dual-camera DPIV for flow studies past artificial heart valves. Experiments in Fluids, 22(6), pp. 496–506. doi:10.1007/s003480050077 . Brücker, C. (1997). 3D scanning PIV applied to an air flow in a motored engine using digital high-speed video. Measurement Science and Technology, 8(12), pp. 1480–1492. doi:10.1088/0957-0233/8/12/011 . Brücker, C. (1996). 3-D scanning-particle-image-velocimetry: Technique and application to a spherical cap wake flow. Flow, Turbulence and Combustion, 56(2-3), pp. 157–179. Bruecker, C. (1996). 3-D PIV via spatial correlation in a color-coded light-sheet. Experiments in Fluids, 21(4), pp. 312–314. Bruecker, (1996). 3-D Scanning Particle-Image-Velocimetry: technique and application to a spherical cap wake flow. Applied Scientific Research, Section B, 56(2), pp. 157–179. Klinge, U., Conze, J., Limberg, W., Brücker, C., Öttinger, A.P. and Schumpelick, V. (1996). Pathophysiology of the abdominal wall. Chirurg, 67(3), pp. 229–233. Brücker, C. (1996). 3-D scanning-particle-image-velocimetry: technique and application to a spherical cap wake flow. Applied Scientific Research (The Hague), 56(2-3), pp. 157–179. doi:10.1007/BF02249379 . Bruecker, C. (1995). Digital-Particle-Image-Velocimetry (DPIV) in a scanning light-sheet: 3D starting flow around a short cylinder. Experiments in Fluids, 19(4). doi:10.1007/BF00196474 . Bruecker, C. and Althaus, W. (1995). Study of vortex breakdown by particle tracking velocimetry (PTV) Part 3: Time-dependent structure and development of breakdown-modes. Experiments in Fluids, 18(3), pp. 174–186. doi:10.1007/BF00230262 . Althaus, W., Bruecker, C. and Weimer, M. (1995). Breakdown of slender vortices. Fluid Vortices pp. 373–426. Wulfhorst, B., Weber, M. and Brucker, C. (1993). Analysis of flow patterns around textile machines with the aid of the theory of similarity. Textil Praxis International, 48(3). Bruecker, C. (1993). Study of vortex breakdown by Particle Tracking Velocimetry (PTV). Part 2: Spiral-type vortex breakdown. Experiments in Fluids, 14(1-2), pp. 133–139. Brücker, C. and Althaus, W. (1992). Study of vortex breakdown by particle tracking velocimetry (PTV) - Part 1: Bubble-type vortex breakdown. Experiments in Fluids, 13(5), pp. 339–349. doi:10.1007/BF00209508 .